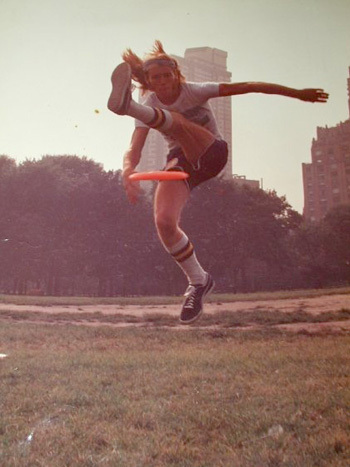 Kerry is one of the cornerstones of the New York Frisbee scene. He is clearly the most influential New Yorker from the pre-delay era. He is credited with innovating the nail delay. His game was highly sophisticated, showing great creativity, flowing motion, precise movement and keen timing.